This game bears a lot of importance as both India and Nepal are set to play their key 2019 AFC Asian Cup Qualifiers after this FIFA international friendly. FINAL WHISTLE and the hosts have won it! Lucky seven, as they call it. The game looked fairly in balance at half time, but after the infusion of young blood, the Blue Tigers increased the momentum well and scored twice with Jeje playing a key role, assisting and scoring. The No. 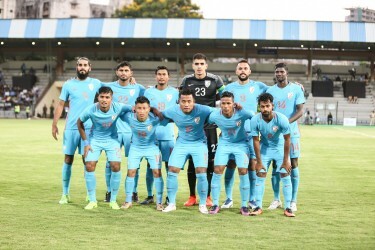 12 will be expected to perform in a similar role against the Kyrgyz Republic on the 13th of June, and Stephen Constantine will be a happy man for now. Jerry Lalrinzuala has made his National team debut after a strong domestic season. You can read the match report at Khel Now in a while. Good bye, friends. Hope you had a good time with us. Enjoy! 90+4' India get another corner as Jairu's low cross is cleared out by a defender. Good game, to be fair. Jeje wasting time on the right corner. 90+2' Daniel should have made it 3-0 as he makes a mess of a free volley. The youngster should've tried to place it! Watch India Second Goal against Nepal. 90' Jairu with the corner, with a flick on from Jeje. Jerry controls the ball as it is cleared. Four minutes of time added. 88' Players look tired and dehydrated due to the humidity and drink a lot of energy drinks and water. Much needed in the conditions. Daniel is the most forward player for India. Eugeneson finds him with a great ball in between defences, but Daneil couldn't find a shot. 86' The youngsters have not looked overawed by the occasion and this bodes well for the Indian National Team. The scoreline suggests the comfort. India create again from the right, as Jeje shoots on a turn and volley. Good save from Kiran. 85' Nepal create on the right but Jerry clears quite comfortably. Nepal still trying to find something with just five minutes left. Rafique has had a fine game as well. Jairu, has been a bundle of energy since coming on. 84' Six more minutes of regulation time and the home side continue its romance with Mumbai and Andheri Sports Complex. Good preparation for the key AFC Asian Cup qualifier, we believe. 82' Indian No. 5 Sandesh Jhingan makes way for Arnab Mondal. Jhingan, good goal man! 81' India concede another throw on the left. Interesting fact, India never loses when Jeje scores. Make sure you do it against Kyrgyz Republic, will you, No. 12? 80' Gurpreet punches a high ball away as Nepal try to comeback into the game. Corner to the Reds. Gurpreet comes out and brilliantly, collects the ball. What a game it is turning out for the Indian No. 1. 78' GOOOOOOOOOOOOOOAAAAAAAAAALLLLLLLLLLLLLLL NO 2! JEJE LALPEKHLUA with a brilliant finish. Rafique wins a ball in the midfield, makes a solo run and cuts it in for the No. 12. Jeje with a low, powerful finish in the right corner. 76' Anas is keeping a good eye on Nawayug Shrestra, who is more than capable of doing things on his own. Nepal create from the left, but Jhingan stops with a brilliant tackle. WATCH EXECELLENT GOAL BY SANDESH ! 75' Bikash tries to cross from the left but is collected well by the Nepal goalkeeper. 74' Tempting ball from the left for Nepal but Jhingan clears well. Another long cross attempted but is well over. 73' India playing most of the game in opposition half now as Nepal try creating things from distance. Gurpreet, meanwhile, stands like a pillar under the bar. Anas clears as another attack is diffused from Nepal. 71' Good positive midfield enforcing yet again from Lyngdoh as India dominate with 54% possession. Nepal build from the back again after they get a goal kick. 70' Eugeneson hits it directly onto the wall. No real threat. India create again from the right wing. The youngsters are playing brilliant attacking football. Jairu with another corner. 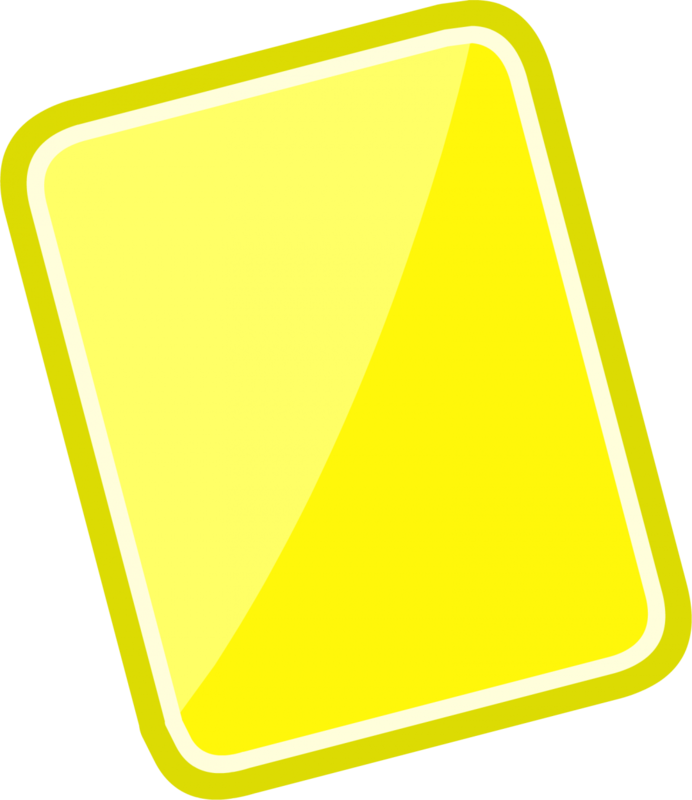 68' Free kick TO INDIA AND RED CARD TO MAHAJAN!!!!! WHAT A DRAMA! JAIRU runs onto a long ball and is clearly brought down. India can make it two! 66' Sujal Shrestha makes way for Bharat Khawasi, who plays for Nepal Army. 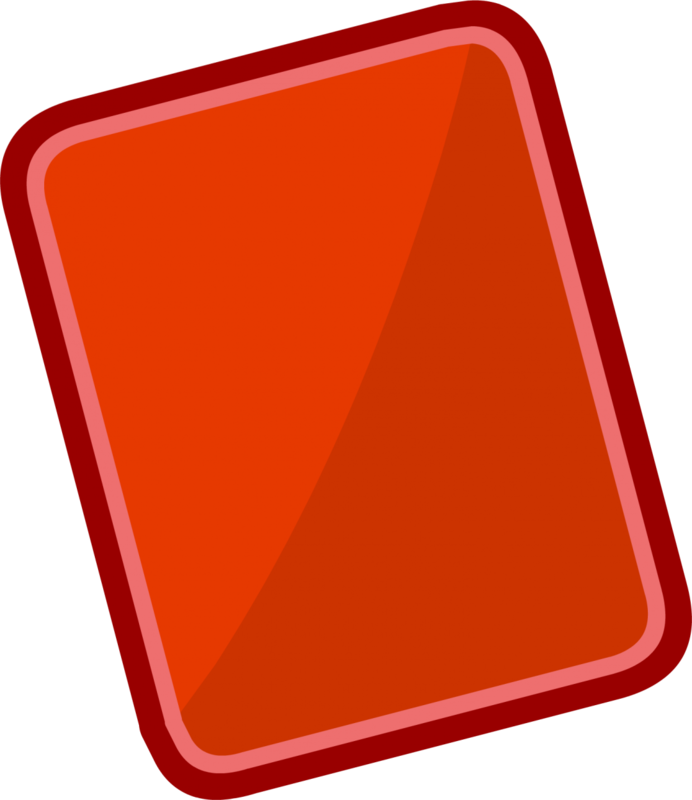 65' Jhingan gets booked as he brings down Magar. Free kick in a good position for Nepal. 64' Jerry Lalrinzuala comes on for Narayan Das. The youngster will make the left back position his own in the years to come. 64' Seityesen comes on for Holicharan Narzary. Narayan crosses in but is over. 63' India wins another free kick as Lyngdoh is brought down in the middle of the park. The team looks a little calm after breaking the deadlock. The fans are chanting the captain's name. Jeje takes a shot after controlling GSS's long ball. Couldn't connect well. 60' GOOOOOOOOOOOOOOOOOOAAAAAAAALLLLLLLLLLLLLL!!!!!!!!!!!!! Finally! Jhingan scores with a left-football volley. Jeje brings down a cross from Jairu and Jhingan shoots from 12 yards. The home team fans are going wild already! 59' Brilliant passing in the final third from the home side. Hand ball from Nepal. India with another free kick as Rohit tries to block a cross from Narayan Das. Eugene standing over it! 57' Gurpreet once again finds Narzary with a great counter. Narzary finds Jairu, who takes a low, powerful shot. Brilliant save from the GK. 56' Corner. To Jeje, who forwards it to a diving Anas. Well defended as Narzary tries a volley from distance. Huge chance and attempt by India. 54' Long throw, but is won by Nepal. Free kick as Eugeneson brings down the rushing Nepal winger. 52' Another shot from Nepal, curling effort. Good save by Gurpreet, diving to his left. Sujan with a nice effort. Corner for Nepal, is cleared and a counter is on. Nepal break it with a tackle from Aditya Chaudhary on Narzary. 51' Long shot from Nepal's Rohit Chand. Good one, but is a little wide. Jeje and Daniel looking to hunt in pairs up ahead. Gurpreet mishits a back kick. Throw in to Nepal. 50' Jeje again proves his hold up play abilities as India create another change. Daniel showing good maturity holding the ball. Eugeneson is brought down while controlling a ball, foul given. Jhingan with the long ball. Jeje with a shot as Lyngdoh lays it for him. 49' Free kick to Nepal as Kotal brings down Anjan Bista. Ball curled it from the left, but is two high and is collected by Gurpreet, who starts a counter. Bikash makes a superb run on the left, controls it well, and crosses for Rafique, who unluckyly slips. 48' Jeje will now play the target man. Rafique tries to make a run, but is blocked by the opposition captain. 47' Jackichand makes way for Bikash Jairu and Daniel is on for Robin. Adds a little more pace up front, Stephen. 46' We're close to the second half. The score would've been 3-2 by now, if both teams would've converted the chances well. 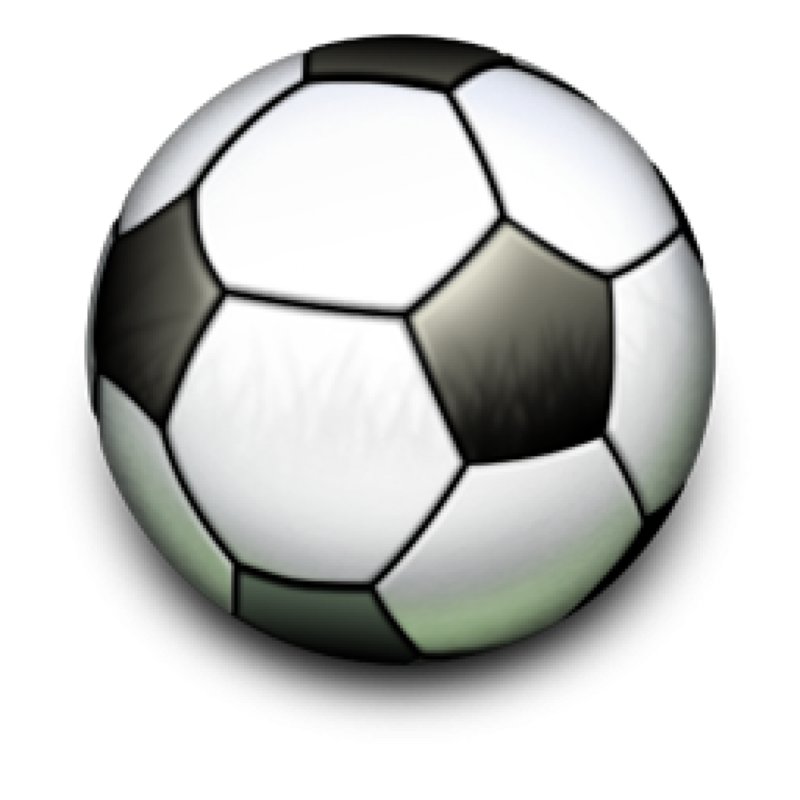 There has been no dearth of exciting football on the pitch as both teams play their hearts out. 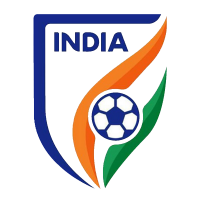 India look a little more composed after the introduction of Eugeneson Lyngdoh and the players have missed good chances. The finishing, by miles, must improve. Nepal have, on the other hand, had the best chance. They're playing some real positive football in the centre of the park and have create their fair share of chances. The manager will be happy with the team's performances. We're sure to see some new faces in the second half. 45+2' The whistle is blown from Pranjal Banerjee. Anjan Bista should've done better and India with a sigh of relief. The home team needs to convert better and miss No. 11 already. 45+1' Nepal with a HUGGGGGE CHANCE! The best chance of the game. A brilliant ball from the centre. Anas should've been faster. Anjan Bista runs onto it and misses it as Gurpreet came out to tackle him. JUST WIDE! Living dangerously, India. 45' Shrestha with a brilliant run on the right wing and finds Sujad, who changes wings nicely. Rohit Chand takes it in the centre and a shot comes in from the No. 14 Anjan Bista. Powerful shot, but defected by Kotal.Easily saved by Gurpreet. 2 minutes of injury time added. 43' Creativity, for sure, is missing in the final third. Linking up needs to be better. Are the Blue Tigers missing Brandon and Jayesh? Will Constantine rue his decisions? The Kyrgyz game will be very, very important. Who do we see coming on in the next 45 according to you, friends? 42' The wingers need to create more for the Blues. The midfield has been feeding well. Jeje, though, looks a little slow and poor and is not playing at his best level. 40' Kotal stops another attack on the right for a goalkick. The No. 20 is also having an impressive outing. 39' Eugeneson starts another move with Jeje and Rafique comibing. Narzary has switched flanks and plays a brilliant close pass to Eugene in the box. The No. 7 loses possession under good pressure. 38' Narzary makes a small chip and Jeje heads on, only to be cleared. Kotal with another good cross from the right. Jackichand wins it on the left wing, but is offside. 38' After the first 35 minutes, India has 57% possession while the Reds celebrate 43%. Another corner on the right, won by Robin. 37' Stephen Constantine with a pensive look. The man knows his team needs to start converting chances. 35' Another long distance cross from the right for Nepal, but is easily brought under the control of Gurpreet. The Nepal No. 14 is under medical treatment after he's hit by Narayan Das while winning the long ball. 34' Eugeneson's importance is easily visible, as India is controlling the tempo now. Kotal sends in a pin point cross from the right, but Robin Singh heads it wide and over even without any challenge! Another chance, down the drain. 33' Jeje with a run in the centre of the park. Plays to Narayan Das, who plays it to Lyngdoh. A 1-2 with Jeje and Robin and Lyngdoh, who mis-manages his shot. Such a great chance wasted! 32' India trying to get more on the ball with Lyngdoh in the centre. Robin wins another throw-in on the right. Jeje is playing more centrally. The shape is a little experimental. 31' Narzary being vehemently man-marked and the No. 19 is trying to fool the right back from Nepal. 30' Nepal tries to find the right winger with a long ball, but is blocked by Narayan Das. The crowd is increasing at a rapid pace. 29' The No. 7 is on the pitch on the place of Borges. As soon as coming on, Lyngdoh lays a brilliant chipped pass to Robin, who shoots way over and wide from his right foot. Another goalkick to Nepal. 28' Another attempt from distance as the ball sails over. With Gurpreet, you need to do something very special to beat the big man. Eugeneson is getting ready to come up, in the place of Rowlin. Mixed emotions for Indian fans. 27' Borges looks in a little trouble with the injury. He is out for more treatment. Anas managing the defensive shape. Robin and Jeje have not really linked-up well. 25' Borges brings down a Nepal midfielder and gives away a poor free-kick, The Blues are pressing after a specific line of attack. 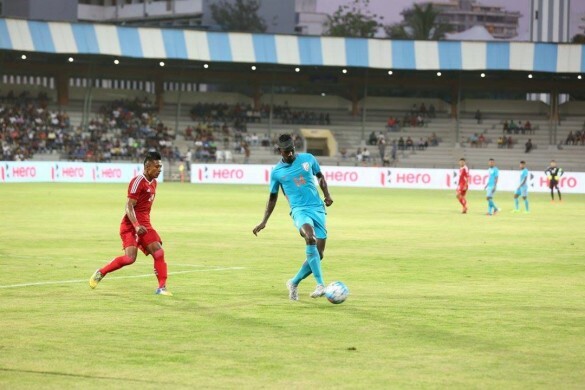 Jhingan with a long ball, which is headed on by Jackichand to a free Robin. A sliding tackle stops the attack and the ball is out for a throw in on the right. 24' Another cross, from the left but Gurpreet collects and starts a counter. Directly plays to Narzary, who plays it to Robin and then to Jackichand on the right wing. Singh crosses and Robin heads, just wide! First big chance of the game, comes to India. 23' The first real on-target header for Nepal, didn't have enough power to disturb Gurpreet under the Indian bar. The cross had come in from the left. 22' Both players are up and raring. Rafique finds a ball to Jackichand on the right, but the No. 10 loses possession as Nepal create another attack. The Reds are certainly better movers of the ball. 20' Robin Singh is running a lot more than usual today, showing that he's willing to take more responsibility. Anas collides into Kamal Shrestha trying to clear a ball as the referee awards Nepal a free kick on the right wing. Anas is easily the most fearless defender ATM in India. 19' Magar is playing as the solo striker up front. Another long distance effort from Srestha, easily collected again. Narzary showing good commitment on the left wing. 18' Bimal Magar takes a shot from 22 yards, but is deflected and stopped by Kotal. Easily collected by Gurpreet. 16' Rafique with the corner. Short and low, is cleared out. Good ball from Rafique after a return pass from Borges, but Jhingan pushes the GK to give a foul. 15' Equal momentum in the first 15 minutes with both teams sharing equal possession. Holicharan runs with a ball on the left wing, plays it to Rowlin and then onto Jeje, who lays it to an onrushing Borges. Borges shoots, only our for a corner. 13' Rafique clears an attack from Nepal, which Robin runs onto. Cleared by the goalkeeper, Narzary wins it and sends in a good cross, just a little beyond Singh. Kotal wins and takes a throw on the right wing. India tries to build a move but the ball goes out. 12' Aizawl fans with the banner of 'WE'RE THE CHAMPIONS' and still no player in the Starting XI. Ironic times, we tell you. Robin Singh, meanwhile, instructs Narzary with a message. Borges and Rafique, now, both have head bandages. Evening of bandaged midfielders, maybe? 10' Borges is down! He looks to have hurt his head. The defensive midfielder was looking to be the dominator in the centre of the pitch. The numbers have already swelled up, like we predicted. 09' Rowlin Borges throughs a brilliant ball to Robin Singh. The No. 9 can only manage a weak cross, with no support around. Borges is having a brilliant game already and is finding forwards easily. Jeje fouls Chaudhary. 08' Free kick from the left sent in by Narayan Das. Jhingan tries to get a head to it, but it rolls out. 07' Nepal with a throw on the right touchline. The Reds try to build with the ball on the ground as Kotal stops the attack with a block. Broges releases Robin on the right wing, but Chaudhary clears for an Indian throw. 05' Penalty appeals as Robin is brought down on the six-yard touchline. Banerjee did not look interested. 04' Jeje and Singh try linking up up-front, but is not able to do it as the Nepal defence keeps them on their toes. 03' Rafique and Chand both receive medical treatment, in the first two minutes. Will this be a physical battle in the centre of the park? We'll have to wait and watch. 01' After the kickoff, Narzary fires in a cross directly. Jackichand on the right with Md. Rafique as No. 10. India is mostly lined up in a 4-1-3-2 formation. In the first foul, Rafique brings down a Nepal midfielder. Rohit Chand is down, the player from Indonesia. 00' The teams huddle up in the last moment team talk. Must be positive messaging to each other. The strikers stand on the ball. 07:00 PM: Nepal wins the toss and chooses the end. India will kick off the game. Jeje and Robin, Indian talismans, will start the movement. 06:59 PM: Will the fans dab after the game, as they're doing now? The team looks a little indifferent in the new jersey. 06:57 PM: The Nepal National Anthem just took place. Not too much support for the Gorkhali team, as it would've been in Delhi. The Indian National Anthem follows. Pensive and enthusiastic mood all over the stadium. Where are you? Show us your presence by commenting your predictions below! 06:55 PM: Pranjal Banerjee leads out both teams out in the centre. Anthony Abraham is in his technical support team. The teams line up for the National Anthem. 06:52 PM: The FIFA banner is already out on the pitch. The fans are cheering and the seats are filling up. Not too bad on a working day! Good luck, to both sides who have undergone various changes and contrasting journeys over the last two years. We are sure the crowds will build up as people come in from their offices directly. 06:50 PM: The teams have already lined up in the tunnel, as updated by Sabin Castelino, our correspondent at Mumbai. 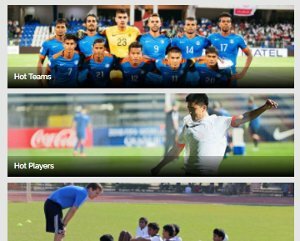 Sunil Chhetri is absent from the line-up, which is a rare occurrence in the last 10 years! 06:47 PM: Nepal fans, we're sure you're here. Can we get some comments supporting the National team? Please leave your predictions below in the comments section. 06:45 PM: Gurpreet landed in India yesterday night and straight into the playing XI. That shows his importance to the National side and Stephen Constantine. No. 1, undoubtedly? Do you believe he's the best South Asian goalkeeper presently? 06:44 PM: The crowd is slowly gathering in at the Andheri Sports Complex. Will Robin Singh be the key for the home side, or will Jeje take the limelight? Do we see an upset today? Nepal always plays with more vigor. 06:42 PM: Bimal Magar is a highly rated Nepali youngster. The lad has had a few trails with various European clubs, including FC Twente. Will he upset the Blue Tigers again? He has scored against India previously. 06:40 PM: Bengaluru FC troika Udanta Singh, Chhetri and Nishu Kumar were sitting together, players who were key to their Federation Cup journey to the title. Anas looks so pumped up in the training sessions. Do you agree with Ishfaq Ahmed who says he's one of the two best Indian central defenders in the current scenario? Let us know! 06:35 PM: Stephen Constantine before the game: "We're comfortable in Mumbai. 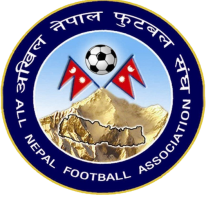 It is always good to have a friendly and we thank Nepal for accepting our invitation to play the friendly. We have a few injuries. We might test our bench strength as well. We need to work harder to raise the level and we will try to play and win every game. It has been a great team effort and we will keep working hard for the same. " 06:35 PM: Predictions friends? Khel Now Football believes it is going to be 3-1 for India. 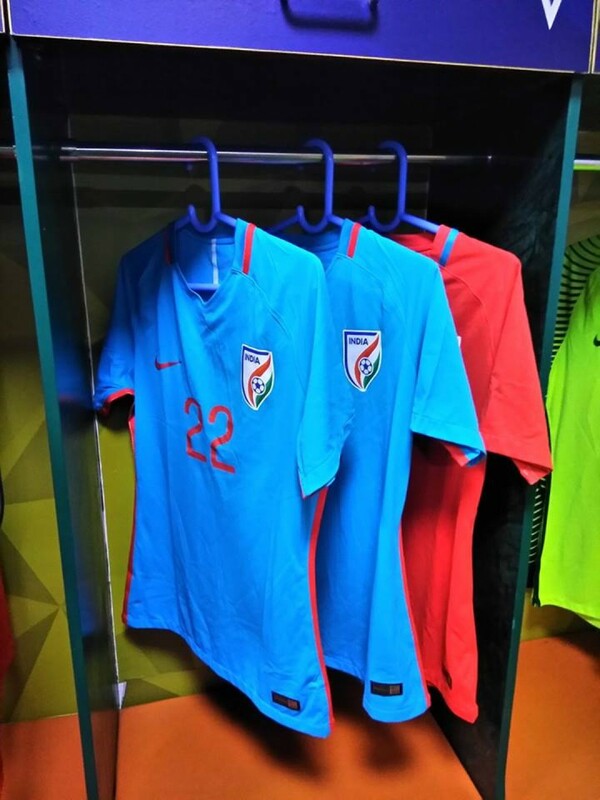 06:30 PM: If you didn't know, the Indian National Team is all set to wear the New Nike Jersey in today's encounter. 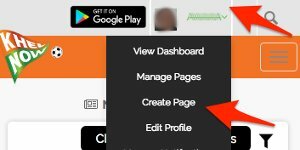 Let us know if you like it or not in the comments' section. Also, tell us about your favourite National Team Jersey from all around the world. 06:25 PM: The rivalry among this teams is legendary. Nepal believes that a lot of Indian talent is from their country and India must give them the credit. 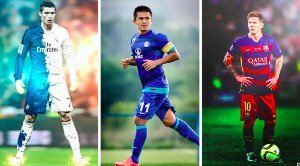 A section of Nepal fans believe that players like Sunil Chhetri and Bhaichung Bhutia are their own, and it adds a lot of spice on social media between the contingents. 06:11 PM: Khel Now is live from the stands before big Kick Off! 05:40 PM: We've just been told that the Indian National team bus has reached the venue. Use the #INDvNEP and #KhelNow on social media to show your support! This game is one of the major battles in South Asian football, as two traditional rivals India and Nepal meet each other once again. The Blue Tigers have improved massively in the last two years, reaching the top-100 of the FIFA rankings. Nepal will be looking to play spoilsport and prove a point. You can read all details about the game below. 6:15 pm: Hello and welcome to the International friendly between India and Nepal. This is your host Punit Tripathi, LIVE from the Andheri Sports Complex in Mumbai.